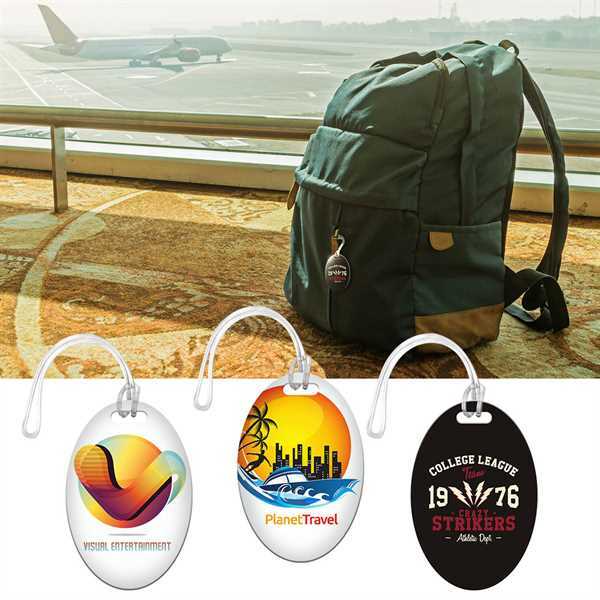 Full Color Digital Printed bag tag. 30 mil (1/32 inch) thick styrene plastic with a matte finish. Clear loop strap (Unattached) tag, loop, and are all polybagged together. Size: 3 " x 2 "
Price Includes:Full Bleed Digital Direct Printing (Personalization additional).